Last week the Greyhound Protection League of New Zealand submitted more than 1,500 signatures to the government, and asked for an independent inquiry into the dog racing industry. Specifically, the organization has asked officials to seek information on the number of greyhounds bred and imported, the number of greyhounds that are adopted and euthanized, and the number of racing dogs that suffer injuries. This request comes only a few months after a groundbreaking investigation by television program 60 Minutes, which found that hundreds of greyhounds are disappearing every year in New Zealand. These dogs are officially being reported as "retired," even though 60 Minutes proved that in at least some cases they had actually been killed. So far the greyhound racing industry has resisted an independent inquiry, and instead commissioned its own study. Members of Parliament should be skeptical of this review, and keep in mind that dog race promoters have a vested interest in covering up greyhound deaths. As this debate moves forward, there is one thing I'm certain of. 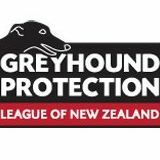 The Greyhound Protection League of New Zealand will continue to fight for the greyhounds, and call for change. We are proud to support its efforts, and look forward to working with this bold group in the years ahead. I cheer on the efforts of GPLNZ. The idea of an independent inquiry is crucial. The fact the industry wants to conduct its own inquiry is ludicrous. They cannot be impartial. Their paycheck depends on it.